When I place my tulip order I find it too easy to be seduced by the early-flowering varieties, thinking that I want to get colour into the garden as early as possible. It’s only recently that I have been growing lots of late-flowering ones to make sure that tulip season lasts as long as possible. Tulip ‘Ballerina’ is a Lilly-flowered variety, a term that bulb growers use as shorthand for the goblet shape of the flowers. 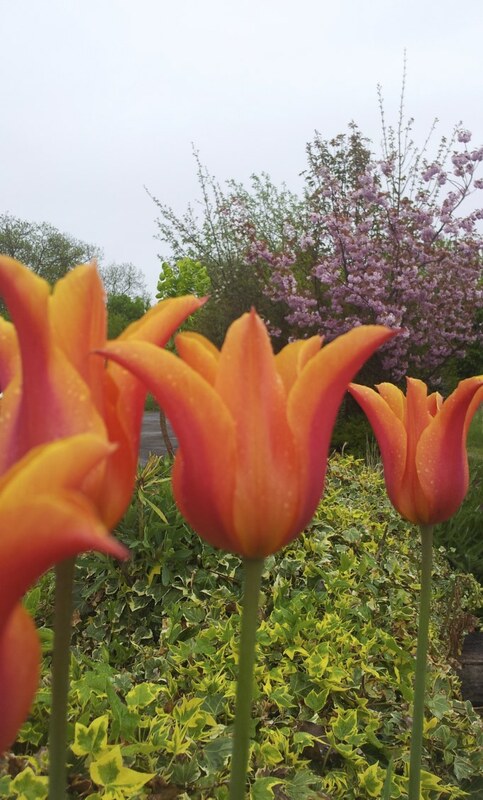 It has a fabulously striking orange flowers that are overlaid with a red sheen that make it one of the most dramatic tulips, particularly when backlit by low spring sunshine. As a bonus the flowers are scented, so this is a good tulip to plant in pots near the house where you can appreciate the perfume. They grow to about 60cm (2ft) tall and look stunning with dark red wallflowers, such as ‘Vulcan’. 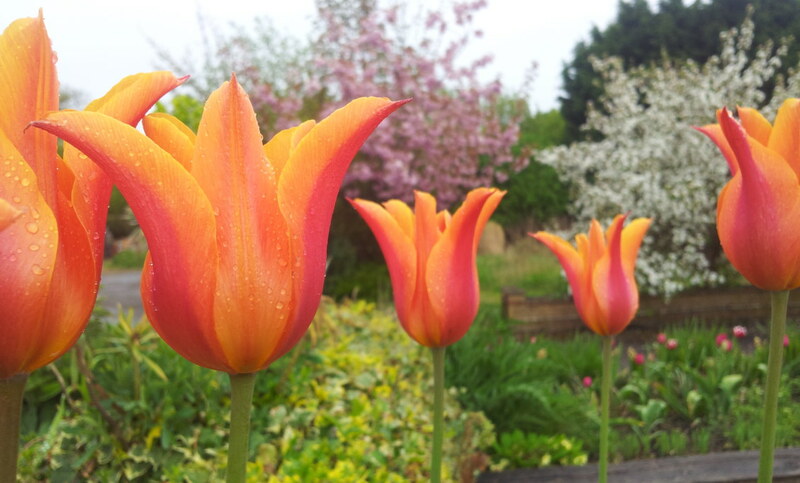 Plant your tulip bulbs about 20cm (8in) deep and don’t do it too early. November is the ideal time. There is more information here about choosing and planting bulbs.